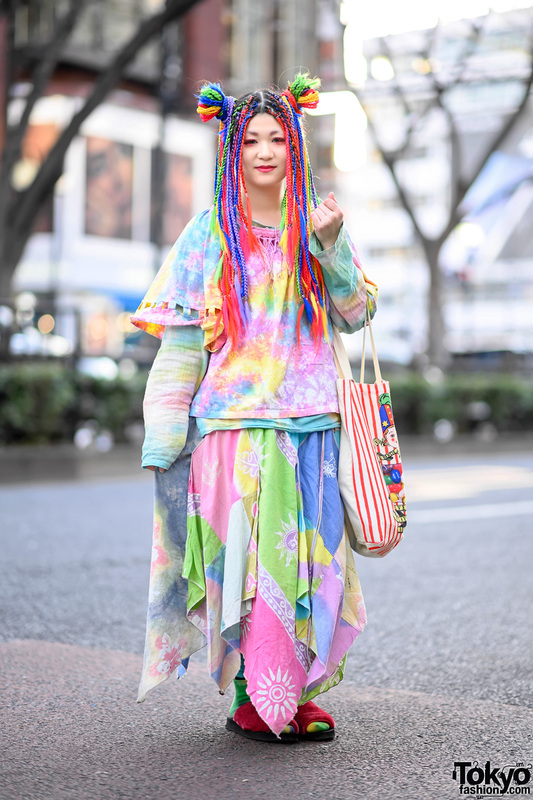 We met Rikarin, a popular Harajuku personality who we often see on the streets in different streetwear looks. Today, she caught our eye with her rock chic ensemble. 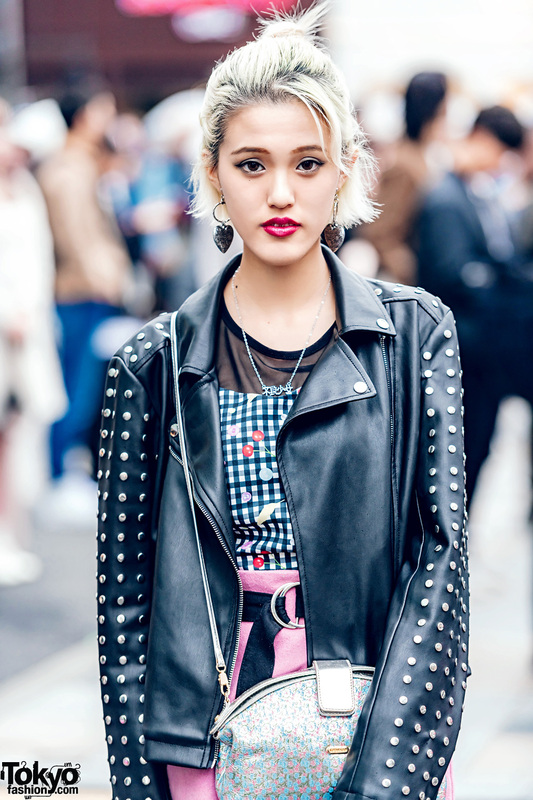 Blonde-haired Rikarin’s look consists of a Forever21 leather motorcycle jacket with studded sleeves, worn over a black see through top, which she layered with a gingham and fruit print top by 6%DOKIDOKI. She paired her tops with a short pink suede skirt from Romantic Standard, cinched with a black o-ring belt, and wore ripped fishnet stockings with her Jeffrey Campbell platform boots. 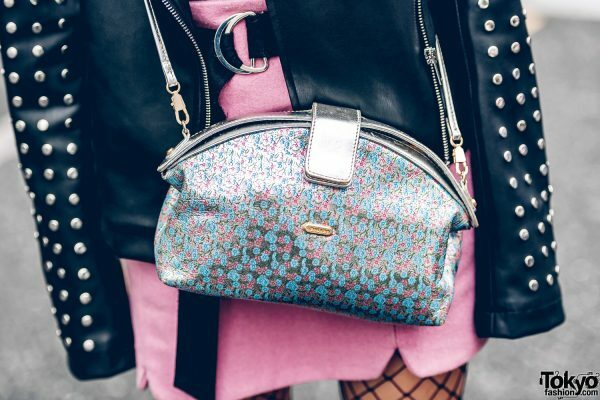 She capped off her look with handmade heart drop earrings, a necklace from Oh Pearl, and she is carrying a metallic floral print crossbody bag from Leonard. For Rikarin’s social media updates, check her out on Instagram.